Winsted Public Library | Spring Storytime Starts in May! 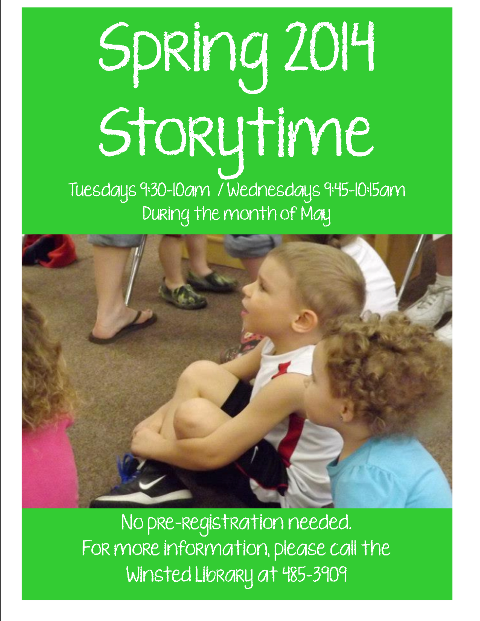 Spring Storytime Starts in May! Are you ready for Spring? Are you ready for Storytime? Come sing, dance, and read with us starting Tuesday, May 6th at 9:30am or Wednesday, May 7th at 9:45am! and every Wednesday from 9:45-10:15am. No pre-registration is needed, and all ages are welcome. please call the Winsted Library at 320-485-3909.